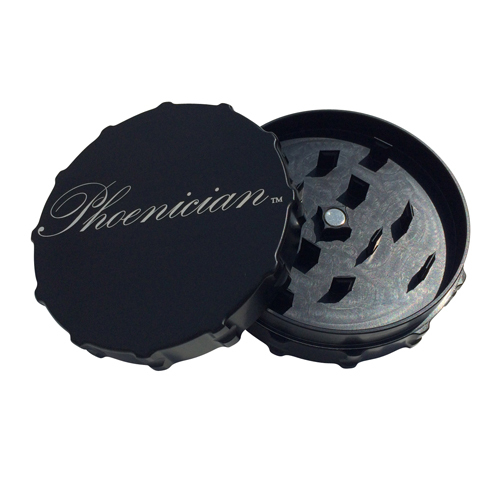 Aluminum Grinders are not new, but there’s nothing old about this Phoenician grinder. 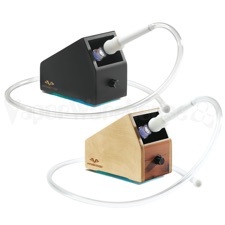 Innovation abounds in the Phoenician grinders including a thread-less locking system and replaceable screens. 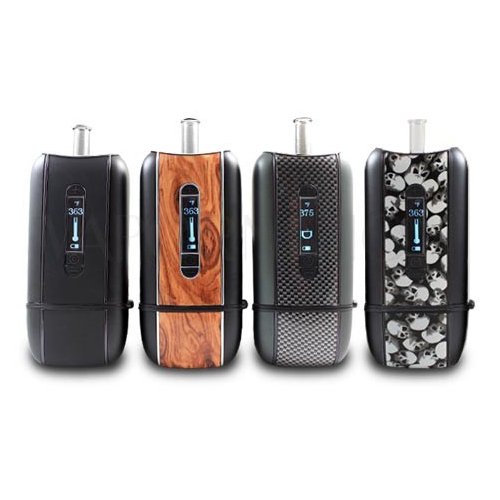 Don't forget your Bumper Kit and Replaceable Screen Set! 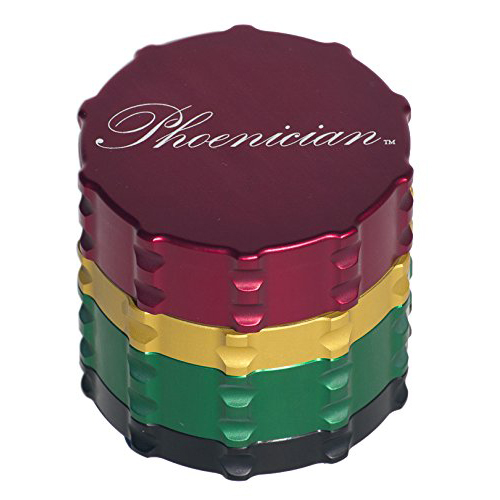 4-Piece Phoenician Grinders also available. 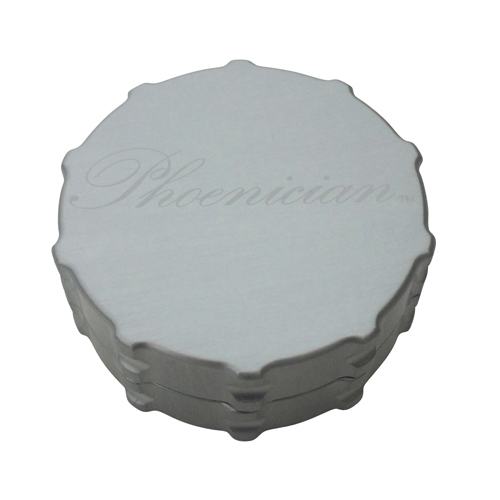 These medical grade aluminum grinders are manufactured in Phoenix, AZ by Phoenician Engineering. 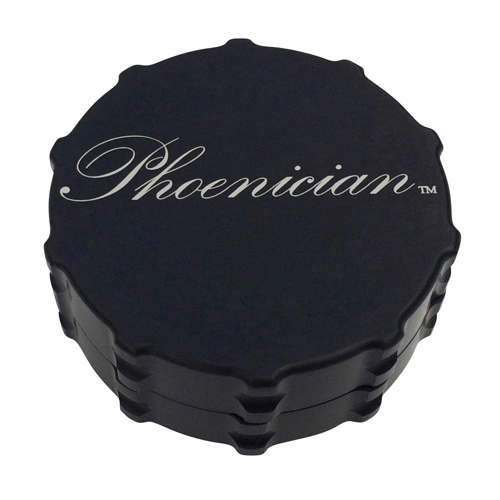 Phoenician Engineering uses a Ni-Cu-Ni coated N52 Neodymium magnet to hold the lid in place. 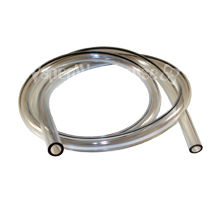 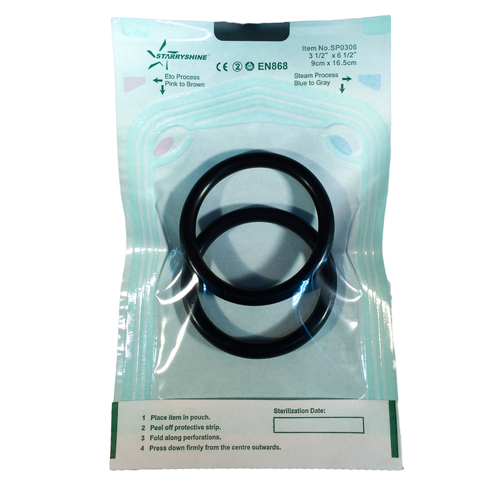 The N52 rating is the strongest magnet currently on the market, and the coating helps prevent the magnets from chipping; a common problem typically associated with lower quality magnets. 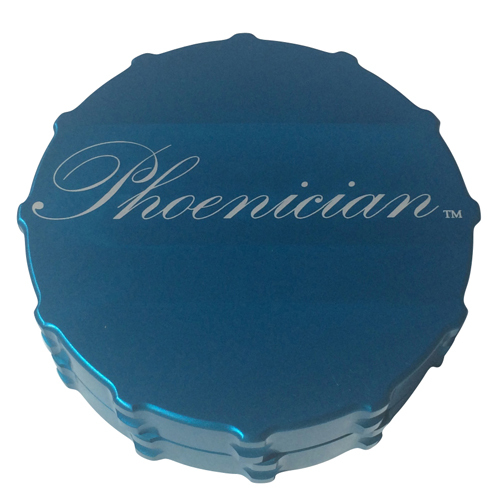 Each Phoenician Grinder is individually serial numbered. 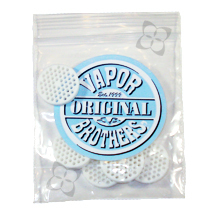 Additional silicone bumper kits are available that help prevent damage to the grinder and provide silent tapping while emptying the grinder.